Looking to engage your age-diverse workforce? 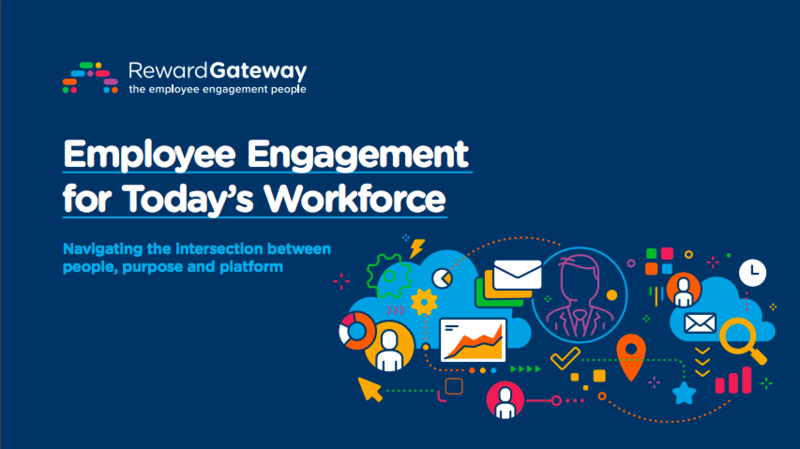 In this eBook, you'll find an overview of the current employee engagement landscape, ideas for connecting staff across the modern workplace and how you can use technology to engage people of all ages. There’s been a great deal of talk about the four generations at work over recent years, but there’s a heck of a lot of information out there. Interpretations of how each should be catered to varies massively, but there are four questions you can ask to make sure you engage each generation in the right way. Firstly though, let’s go back to basics. Millennials, Generation X-ers, Baby Boomers and Traditionalists span from the 1920s right through to 1997. The youngest generation are the Millennials (also called Generation Y by some). This year the youngest will reach 18 and the eldest 38. Next is Generation X. Generation X-ers were born from 1965 through to 1979, meaning they’ll be celebrating their 38th birthdays through to their big 5-0s this year. Baby Boomers are now 51 to 69, and finally, Traditionalists sit at the very top, at 70 and upwards. 1. Does your workforce represent a majority of one generation or a mixture of several? Distinguishing which generation, or generations, make up the majority of a company is no easy task. Millennials may account for around half of the world’s employees, but that is by no means a hard and fast rule. Industry can be a good clue. Architecture, for example, which requires seven years of education, is likely to have an older staff population than a social media agency which actively encourages job applications from sixth form and college graduates. 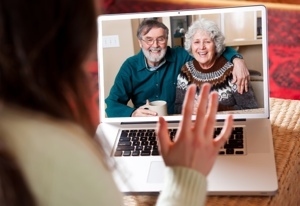 It should go without saying that not everyone behaves exactly as their demographic suggests; some Grandparents are more than capable of video chatting, for example! But for the most part, establishing what your company is made up of is essential. 2. 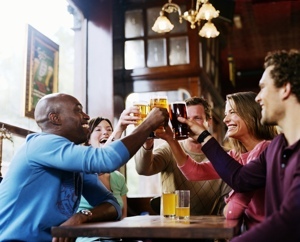 Have you paired the right generations to the best employee communication practices? Undoubtedly, one of the biggest barriers across the generations is how they like to communicate with one other. Whilst the Baby Boomers are more likely to appreciate having a team around them, and often see meetings as a necessary cog in daily working life, later generations are far more independent. Generation X-ers, for example, began the trend of working from home, making daily meetings at best an inconvenience and at worst an impossibility. Then of course there’s the Millennials, for whom being asked to do a job interview via video isn’t uncommon, and who communicate far more often via the written (or texted) word than verbally. This all means that finding common ground between the different generations is a must. Some argue, for example, that Millennials will have more success working under a Traditionalist than a Baby Boomer, as despite being at opposite ends of the spectrum, both Millennials and Traditionalist are fantastic at working independently. Finding these commonalities, and then acting upon them, can make for a much happier workforce in the long run. 3. Does the layout of your offices suit your staff? 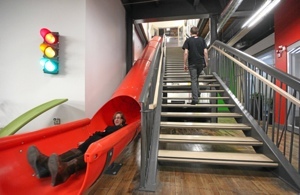 A giant red slide from the top floor and novelty phone booth in reception might attract employees today, but a whole range of different elements have long been used to draw in and retain employees. Over the 1950s and 1960s the motivation of a private office kept staff working hard, but by the time the 1970s rolled around, assigned cubicles were a big draw, as was the opportunity to work in an impressive building. The dot-com companies of the 1990s, ruled by a younger workforce, brought with them more casual environments. Today, as technology and its offering continues to grow, workspaces can be increasingly flexible – everyone needs a computer, but not everyone needs a desk. 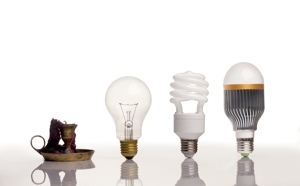 For companies employing staff from each generation, variety is the key. An office should ideally have a range of settings, from private meetings rooms set away from potentially prying eyes, to interactive group spaces. 4. 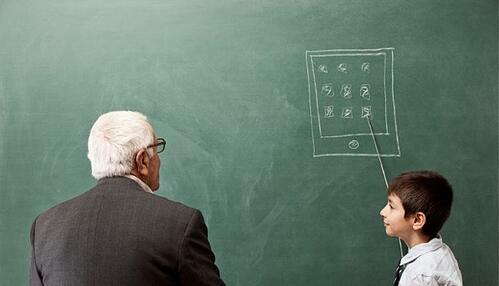 Are your rewards and benefits tailored to each generation? A free Chromecast for everyone at the Christmas party isn’t going to inspire much excitement if you work with a group of Traditionalists who don’t have laptops at home. Different generations work hard for different pay-offs. Whilst the Baby Boomers might be putting in extra hours for a pay rise or bonus to fund a new kitchen, Generations X-ers might graft especially hard on a project in the hope of some time off afterwards to take a holiday with friends. Each of these four generations will be attracted, engaged and retained for different reasons; their team structure, working environment and rewards should be flexible too. Keep in mind if there are some things every generation has in common. Free bar tonight, anyone?